Sauerwald N, Zhang S, Kingsford C, Bahar I. Chromosomal dynamics predicted by an elastic network model explains genome-wide accessibility and long-range couplings. Nucleic acids research. 2017 Apr 20;45(7):3663-73. PubMed PMID: 28334818; PubMed Central PMCID: PMC5397156. Cheng MH, Garcia-Olivares J, Wasserman S, DiPietro J, Bahar I. (2017) Allosteric modulation of human dopamine transporter activity under conditions promoting its dimerization. J. Biol. Chem; in press. Lee J. Y., Feng Z., Xie X.-Q. , and Bahar I. (2017) Allosteric modulation of intact γ-secretase collective dynamics. Biophys. J. in revision. Li H, Sharma N, General IJ, Schreiber G, Bahar I. (2017) Dynamic Modulation of Binding Affinity as a Mechanism for Regulating Interferon Signaling. J Mol Biol; in press PMID:28648616. Li H, Chang Y-Y, Lee JY, Bahar I and Yang L-W. (2017) DynOmics: Dynamics of Structural Proteome and Beyond. Nucleic Acids Res. 45: W374-W380; PMID: 28472330. Ma S, Cheng MH, Guthrie DA, Newman AH, Bahar I, Sorkin A. 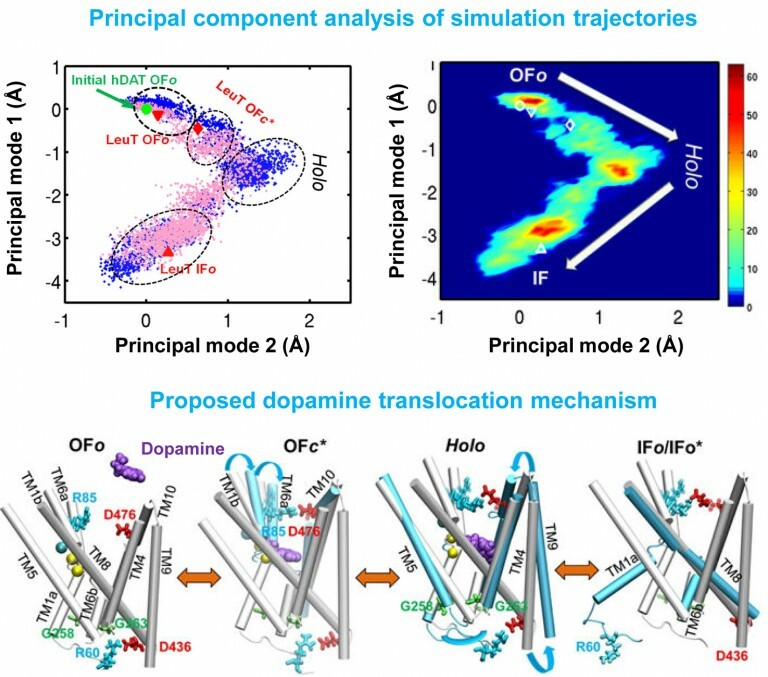 (2017) Targeting of dopamine transporter to filopodia requires an outward-facing conformation of the transporter. Sci Rep. 7: 5399; PMID:28710426. Cheng, MH*, Garcia-Olivares, J*, Wasserman, S, DiPietro, J & Bahar, I. (2017) Allosteric modulation of human dopamine transporter activity under conditions promoting its dimerization. J. Biol. Chem 292:12471-12482; PMID: 28584050. Gur M, Cheng MH, Zomot E, Bahar I. (2017) Effect of dimerization on the dynamics of neurotransmitter: sodium symporters. J. Phys. Chem. B 121: 3657–3666. PMID: 28118712. Wang H, Aragam B, Xing EP. Variable Selection in Heterogeneous Datasets: A Truncated-rank Sparse Linear Mixed Model with Applications to Genome-wide Association Studies. KDD : proceedings. International Conference on Knowledge Discovery &amp; Data Mining. bioRxiv. 2017 Jan 1:228106. Xu, X. Chai, H. Muthakana, X. Liang, G. Yang, T. Zeev-Ben-Mordehai and E. P. Xing, “Deep learning based subdivision approach for large scale macromolecules structure recovery from electron cryo tomograms.” The Twenty-fifth International Conference on Intelligence Systems for Molecular Biology (ISMB 2017). Bioinformatics (2017) in press. Zhou Z, Luo A, Shrivastava I, He M, Huang Y, Bahar I, Liu Z, Wan Y. Regulation of XIAP turnover reveals a role for USP11 in promotion of tumorigenesis. EBioMedicine. 2017 Feb 1;15:48-61.PubMed PMID: 28040451; PubMed Central PMCID: PMC5233825. Xie X-Q, Wang L, Wang J, Xie Z, Yang P, Ouyang Q. Neuropathology of Drug Addictions and Substance Misuse. San Diego, CA. Elsevier Inc.;. Chapter 19, In silico chemogenomics knowledgebase and computational system neuropharmacology approach for cannabinoid drug research.